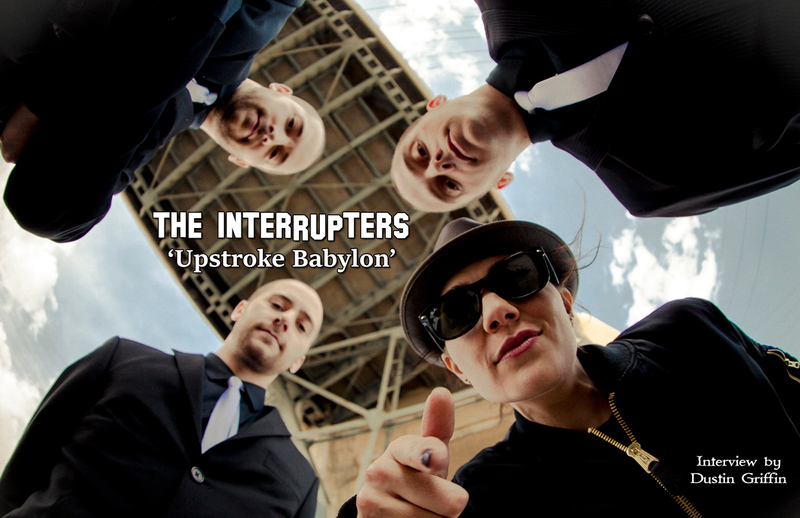 Ever since exploding onto the scene with the hyper energetic song ‘Liberty’ a couple of years ago, The Interrupters have seen a quick and easy rise to among the best new punk bands to come along in a long time. Mixing elements of punk, ska and reggae into their heady wall of sound, they’re fun to listen to and fun to see live. Their new album ‘Say It Out Loud’, out at the end of June, takes what they did with their debut and steps it up a notch, musically and lyrically. We spoke with singer Aimee (Allen) Interrupter and guitarist Kevin Bivona about the band, the new album and the current media sensation that is American politics. I know this is a cheesy question, but this a really fun album to listen to, so was it as much fun to make it as it is to listen to? Kevin: It was super fun. In fact, we kind of had a rule when we were making this album that if at any point, whether writing the song, or recording it, if we stopped having fun, we would scrap the song and do another one. It was the most fun I’ve ever had making an album. And I read somewhere that you split your time between Tim Armstrong’s studio and Travis Barker’s studio, is that right? Kevin: Yeah, I mean we’re super lucky because I do a lot of other studio stuff with Travis, so I’m at his studio quite a bit. And when it came time to make the record he basically said hey if you guys want to make it here, that’s totally cool. And he’s got a great Neve board there. It’s a good vibe. And we had access to his whole drum arsenal, his drum tech Daniel’s a good friend of ours. So he hung out and helped us get drum sounds. So I definitely think we stepped up the drum sound on this record. Aimee: Yeah it’s all live. Kevin: All the tracks were recorded live off the floor as far as the instruments go. And then for vocals we took a lot of the tracks to Tim’s studio and we worked pretty fast there. But I mean we’re just lucky that those guys got our backs and are friends of ours, because it made the recording process really in house and really fun. My next question was going to be how much of it was recorded live, because it definitely has a live off the floor sound and feel to it. Kevin: Yeah so basically we’re all there for the recording. Tim and the four of us. We play the songs in a circle with acoustic guitar to figure out the arrangement. And then we just roll tape and go in there and try it. And that’s where it’s really great having Tim there, because Tim is great at arrangements and just getting it right, the sound right, the first time. Then we had a party at our house and that’s when we overdubbed the vocals, did all the gang vocals for a lot of the tracks. Kevin: Yeah we had guys from Less Than Jake over, we had Warren from The Vandals over, and then a bunch of our friends in town who are musicians came over to sing on stuff. That’s cool cause that song, ‘Loyal’ has the feel of some of the stuff on the last Rancid record and in particular the song ‘Honour Is All We Know’. Aimee: Yeah that’s funny because I actually worked on that record and I play organ in Rancid when they tour, so we’re around them so much, their influence definitely rubs off on us a lot. And yeah you definitely hear it in ‘Loyal’ and the way the bass line walks. And that was kind of the reason we asked them to sing backups on that. We got all four of them singing backup on all the choruses. Tim Armstrong not only produced this record, he’s also on the song ‘Phantom City’, he also owns the label Hellcat, that the record is coming out on. I can imagine his friendship and mentorship has been pretty integral to the shape this band has taken over the years. Kevin: Having him in there when we’re making the records is a super important part, but just since we’ve had this band, we take almost everything to him. Whenever we need advice about something, whether it’s something legal, or touring wise, or inter-band stuff. He’s got so many years in this business and we’re just fans of all his records on top of it. So hearing his advice, we’re lucky to get it and it’s always really important to us. How have the last two years, since your debut album came out, informed the writing of this record? Kevin: I think just all of the touring we’ve done. Because when we did our first record, we hadn’t played live. I mean we started the band, made the record and then played live. So this time around, we know what our strengths are live and we’re able to bring those into the recording room. Aimee are you used to touring with three stinky dudes at this point? Aimee: You know what, I’m probably stinkier than any of them (laughs). The twins are such clean freaks. Just neat and clean and sanitized. And Kevin and I are kind of the dirty kids in the van (laughs). One of the ways I feel like you guys really stepped it up on this record is in the lyrical content. A lot of these lyrics feel very real. ‘She Got Arrested’ for example, feels real. Was this based on a real person, a real story, or was it ripped from the headlines or what? Kevin: And It doesn’t end well. Aimee: It’s a story as old as time and it needs to be told. But it helps that the story is told to an upstroke, funky beat. It gives it a positive note. Light at the end of the tunnel. Aimee: Yeah it is a phoenix rising from the ashes kind of thing. The victim became the victor. Even though she went about it all wrong, she still took back her power, you know? Another great song is ‘Media Sensation’. I’m assuming this song is touching on the current circus that is the political climate in America. Kevin: And the media circus that surrounds it. Yeah and the unfortunate thing about American politics is that there always seems to be a circus aspect to it. So although this song in particular is very topical, it’s also timeless in that it will probably still feel relevant three presidential elections down the road. Kevin: Thank you. It’s funny because we were already messing around with that idea before the circus got really crazy. And we actually had other lyrics in the chorus that we weren’t very happy with. But it’s funny because you say it’s very current, we had parts in that song before all this was happening. A year and a half ago, but we didn’t have that media sensation part until everything was getting crazy. Right around last fall when all the debates started. Aimee: And you couldn’t turn the TV on without everyone having an opinion. Kevin: And we’re all about having an opinion and a right to it, but not when the media is dictating it. Well it’s the age of clickbait, right? Clicks on web pages and likes and shares on social media are currency these days. Aimee: Yeah you said it, it’s all about the money. Aimee, how does writing and playing in a punk band differ from the stuff you did as a solo artist? Are you more at home with punk than with some of your more laid back stuff from previous projects? Aimee: Well I’ve spent more of my career in punk, doing punk, than that other stuff. Even when I was a teenager, my first band was a punk rock band. And that acoustic reggae album for example, was a departure. Something to play at the beach. But I’ve been screaming over the same three chords for a really long time. 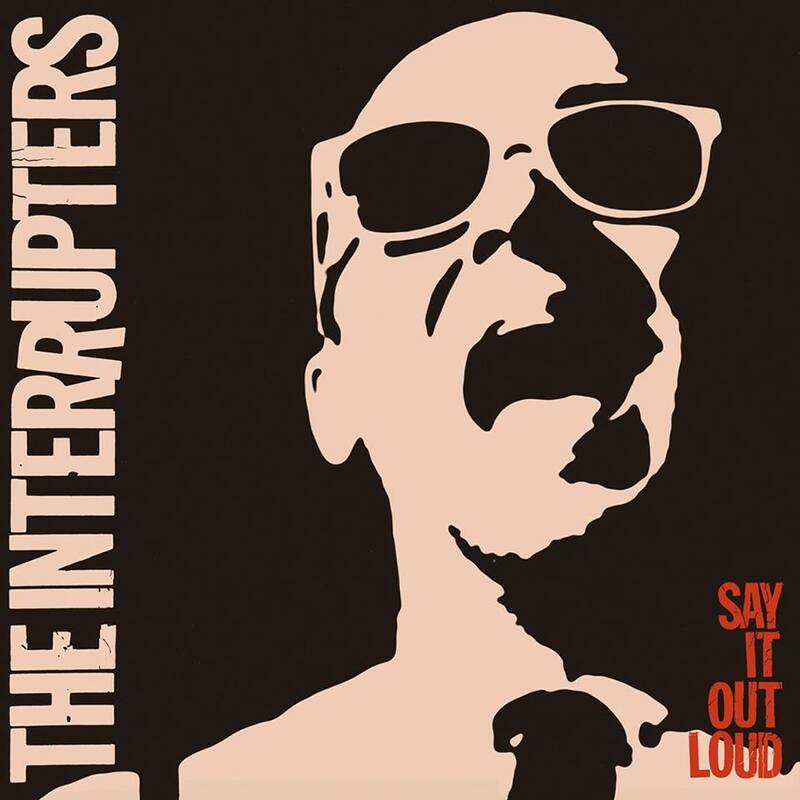 Well you’ve got a great thing going on here in The Interrupters, you bring a great edge to the sound of the band. Aimee: Thank you. I feel like, with Tim being our producer, and the rest of the Interrupters, that when I do a take, it takes a lot of convincing for them to let me do a second or a third one. Cause they’re like ‘it’s awesome, it’s great. Let’s go on to the next one.’ And I’m like ‘no! I can do it better’. And I’m always outvoted. To keep with the urgency and the energy going. But I appreciate it. I’m glad they don’t let me get too in my head. Kevin, you’ve worked with a ton of great bands over the years. Whether producing or engineering or playing with them. What itch does The Interrupters scratch that working with those other bands in those other capacities might not? Kevin: You know, I’ve played in bands since I was eleven years old and grunge was really big, I was in a grunge band. And then punk bands. I was in a ska band in high school and a reggae band after that. So I’ve always loved playing live. And then becoming studio savvy and working with other bands, I’ve found great satisfaction in helping people achieve their vision. And I’ll continue to do that no matter what happens with The Interrupters. But I feel like this band is achieving my vision in a way. And I guess that’s the itch that it scratches. It’s something that I can call my own. And being able to say ‘hey, my band’s playing this Saturday’, you know? I’ve always loved that my whole life. The Interrupters will be on the amazing Vans Warp Tour 2016 (dates below)so be sure to catch them along with a ton of other artists this summer. 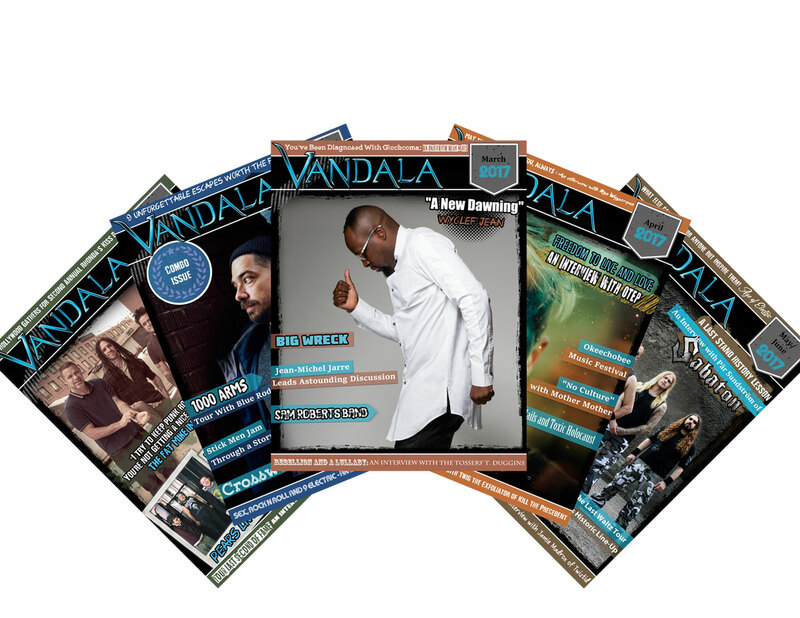 Also be sure to grab your copy of ‘Say it Loud” out TODAY. Full details online.